Objectives: To determine unfulfilled needs of patients in mamma cancer in order to plan of appropriate interventions based on these needs. This research was conducted to determine the surveillance care needs of women in breast cancer and its predictors. 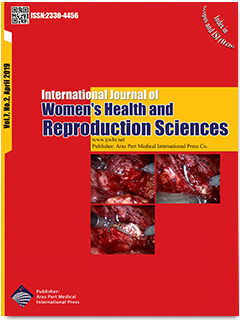 Materials and Methods: This is a cross-sectional study conducted on 190 females with breast cancer in Arak-Iran, by the convenience sampling method. Patients were evaluated by Socio-Demographic and Disease Questionnaire, Perceived Illness Questionnaire (PIQ) and Supportive Care Needs Survey Short Form (SCNS-SF34). Data were analysed using SPSS ver.21, one-way ANOVA, Chi square, independent t-test, Pearson correlation coefficient and multivariate linear regression. Results: The average (SD) number of supportive care needs was 100 (31.9). The greatest needs of patients were in the psychological, health-information and physical sub-scales, respectively with mean (SD) of 31.3 (12.5), 36.0 (12.5), 14.9 (5.8). Multivariate linear regression analysis showed that family income and perception of illness were predictors of supportive care needs. Conclusion: Health attention providers need to payment particular attention to psychological, health, witting and physical needs of females with mamma cancer and predictive factors.